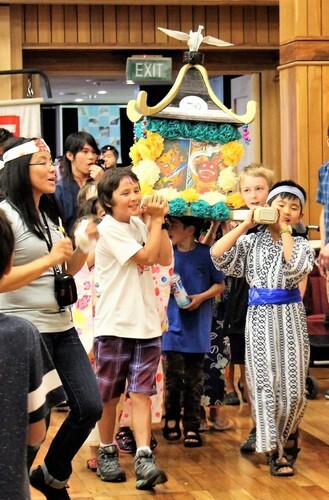 Japanese summer festival “Natsu Matsuri” in Queenstown! This is 3rd summer festival, and this year’s theme is “ Cosplay" - Japanese fancy dress up. You will meet Samurai, Ninja, Kimono girls, maid girls and more! Everyone is welcome to join Cosplay with your creative costume! At the event, we have something for everyone. For those food lovers, we have delicious Japanese food stalls, award winning sake tasting. 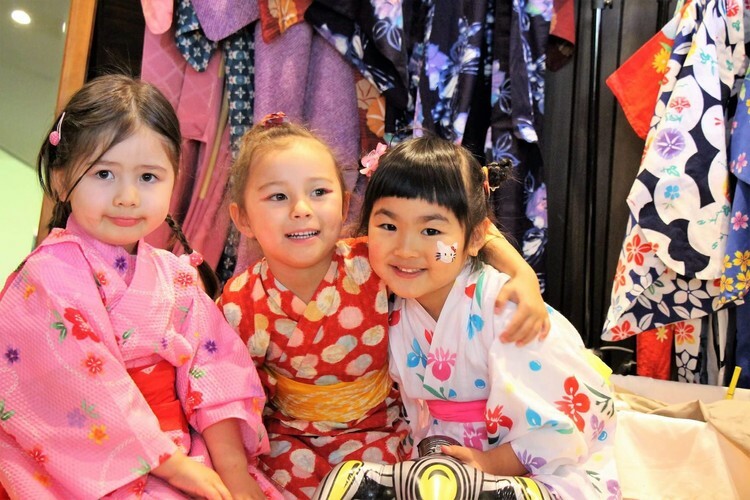 For people love art and culture , we have live music, Kendo and Karate martial art demonstration, tea ceremony and Japanese calligraphy, kimono try on. For fun for children , we have lots of kids games including lollie roulette, candy floss, face painting . For everyone to finish with big smile on face, raffle draw with massive prizes! 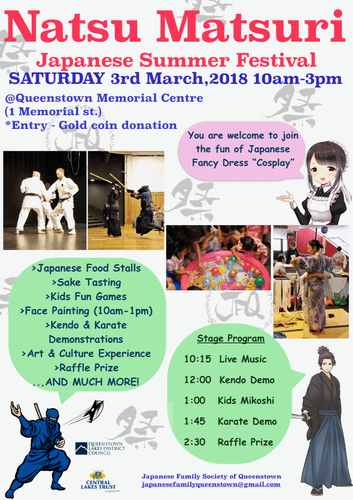 So please come and join the fun of Natsu Matsuri in Queenstown! This is a fundraising event, gold coin donation at the entrance would be appreciated. Also we will advise to bring cash, eftpos/credit card may not be available.